Be prepared for minor injuries and offer your workers suitable skin protection too. Immediate first aid can prevent a minor injury from becoming a major one. 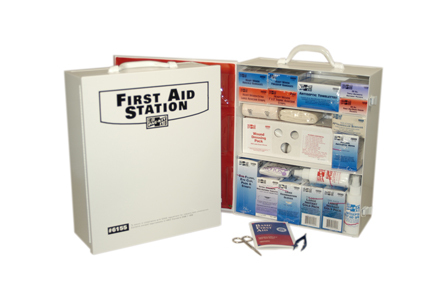 Our large selection of first aid kits and supplies will help keep your workers safe and in compliance. "Plastic Adhesive Strip 3/4"" x 3"" 100/Box"